Mobiles show Wind power. They move Chi and shift energies of the place. 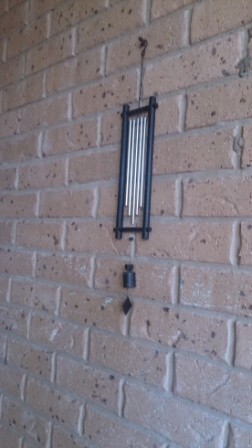 Adding to the element of Wind, the tubular mobiles symbolise also the Sound element; they become then a “double” enhancer. All types of mobile objects, being they windmills, whirligigs, tassels, spirals, flags or mobiles need to be placed correctly – by this I mean freely! Free to flow with the wind, NOT stuck on a wall! Check if your mobiles are doing their ‘job’ today, dust them off and change regularly their positioning. Your body rhythmic action of walking, its natural pace and open contact with Nature surroundings that you are walking through can help unravel your mental blockages. As the Latin words express – solvitur ambulando – you can sort it out by walking! A (solitary) walk by the river or ocean, a few calm hours in the woods, restore the Spirit and produces more insights than the best labours of professional analysts! 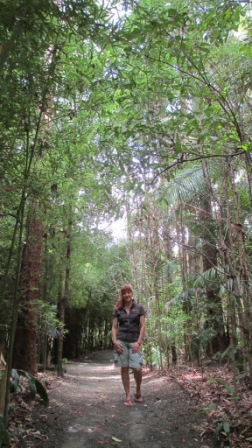 Wake up to your Spirit – Take a walk on the Wilderness side of Life! Yesterday, during our daily evening walk with my son (22 y.o. 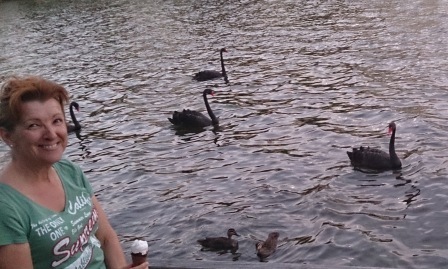 ), we were admiring the sunset, waxing moon and the black swans drifting on the lake. After our evening meal it is a good excuse to get an ice cream and connect with the surrounding nature before a good night sleep. On our way home, we discovered that none of us was stepping on the lines of the concrete path. We were adapting our steps accordingly. “Funny that we both avoid stepping on cracks or lines on the paths” I mentioned. In Old Europe, the ground to the north side of the church was a liminal zone, for that was where the building’s shadow fell. Suicides, transgressors and unbaptised children would be buried in that part of the churchyard. Shadows were seen as liminal in many cultures and the great German researcher of the Nazca lines in Peru, Maria Reiche, noticed that the Indians would not walk where the shadow of a rock touched one of the mysterious desert lines, because it was hallowed or full of evil spirits. A vestige of such kinds of avoidance probably survives in the childhood game of not stepping on the cracks in the side-walk. Instinctively we avoid walking on lines and cracks. How about you? Please Lori, tell our readers briefly WHEN, HOW, WHERE or in WHICH circumstances we met? Roseline and I lived in the same residential neighbourhood. My husband was talking to her about the mysteries of life and he suggested that we should meet. When we did, it was an instant shared understanding of Universal principles. Our relationship took off from there, as we started running weekly “Living the Secret” workshops in our area. It was an exciting time. Roseline believed in my dreams and saw me as already accomplishing them, at a time when I couldn’t see myself there yet. I will always be grateful to her for that. When I learned about Feng Shui from her and her books, I began to apply the concepts and saw immediate results within 9 days, just as Roseline said. The most interesting result was uncanny: I got rid of some sentimental jewellery that I was ready to release, and two people contacted me out of the blue after 30 years. They were both from around the time I received that jewellery! As Roseline says, when you move energy around, things begin to happen. 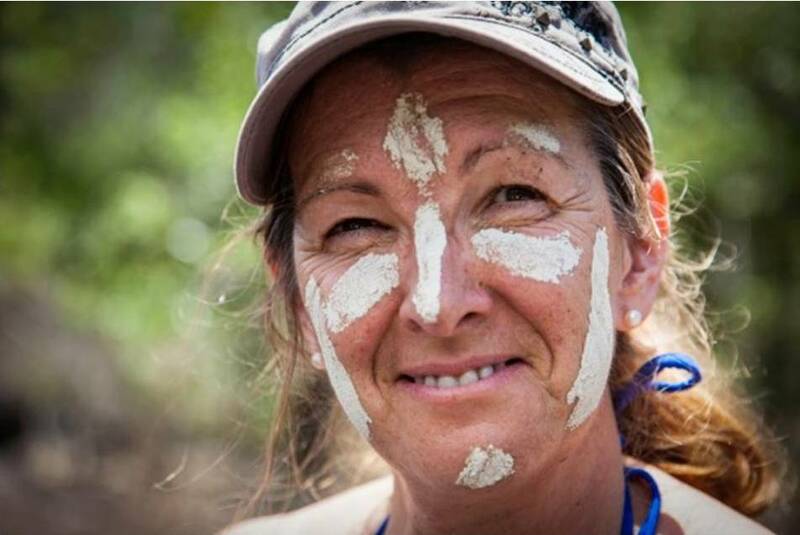 I have a beautiful connection to the energies of my home thanks to Roseline’s work and teachings. And my husband pays more attention to it too, thanks to her! I got into personal development years ago but was already in a computer career. After I managed to turn my life around (more about that shortly) I was living in Australia working for a computer company. It was getting more and more frustrating (long drives, traffic, office bound work) and one day in late 2006 I was watching an early version of “The Secret”. I remember standing up in the middle of the room the second time I watched it and saying “I know what I want to do! I want to teach teachers this stuff!” I wanted more people to know that it was possible! I recognised that I had applied some of those principles to turn my life around, but I also knew there was more. So I began to read and take courses and I worked out where the ancient teachings met those Success Principles. I tested it with others, and when they began to get breakthroughs I got very excited, because I knew this could apply to so many people. 4. 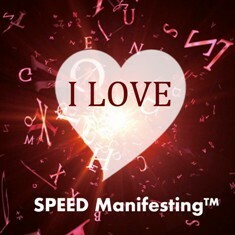 What are the five words that people would use to describe Speedmanifesting.com? 5. What was the purpose on starting your SPEEDMANIFESTING business and how has the concept come about? I don’t know if this has ever happened to you, but I was once “successful” and then I lost it all. I continued to struggle for 2 years while things just got worse: debt & finances, relationships, health; all the easy success seemed gone. I really couldn’t tell what happened but I kept searching for the answers and trying harder. One day I got the last missing piece of my puzzle and in one hour I manifested $1100. Then, within about 6 months my family and I were living our dreams in Paradise with all our debts paid off, and we paid cash for a new home. I wanted to repeat the success in turning my life around anytime, and so I created a step-by-step system that is duplicatable. This was way before the Global meltdown, so I guess I was preparing the answers for others after me. I use parts of it every day, but when I find myself off track, I go back to the beginning and through each of the 7 Steps! It works! Most people are in lack when they contact me. They usually look for more money first to solve the other problems, and then when they have enough money they realise there is more work to do in other areas such as relationships, connection to nature and self-love. All of the people who come to me already know about the concepts of Universal Laws and The Law of Attraction, and they want to get to an advanced level of manifesting. Sometimes their desire is speed, and sometimes it’s just ease and flow with manifesting. I have a variety of learning resources; my books on Amazon, and an online self-study course with videos, eBooks and audios, and a group membership site for shared learning. I also take a few coaching clients when people want to apply the Method in a very personal way to break through previous barriers. My radio show replays are on iTunes and BlogTalkRadio. I have a new membership site where people can get group coaching calls and shared access to more resources for reasonable cost. 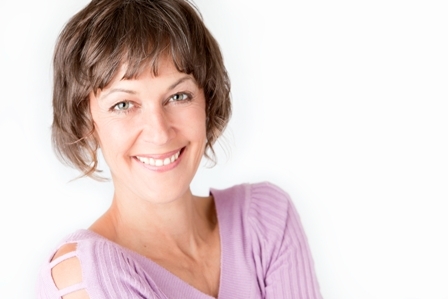 Coming up soon I will be opening up a teachers’ certification course for The Method. My clients start by contacting me for a Strategy Session. This is usually an hour’s cost but I do 30 minutes as a complimentary trial. That way, they get to see how we might work together and we do a goal-setting exercise right on the call. After that, they sign up for 12 weeks of coaching. These are weekly calls (usually on Skype or phone) with 12 topics to apply and homework to complete so they keep on track with their dreams. After all, goals are your dreams with a deadline! We set clear intentions together, set accountability actions and clear blocks to manifesting fast. I am so proud of my past coaching clients. Their dreams are coming true, they are all prospering and all of them are truly inspiring to know. 9. 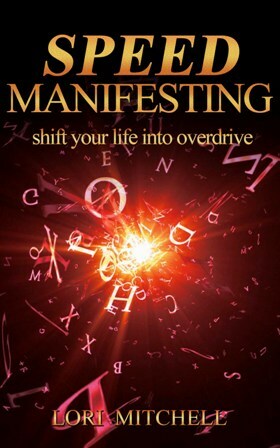 What advice can you offer to people who are just discovering Speedmanifesting? I think it’s really important to know yourself first. So when studying The Method, find what you have been missing and apply that to build on what you already know. That way, you get fast results. 10. Do you have a book that you would like to recommend? I highly recommend starting with my free 7 Day Video Course. You can sign up on my site. It is a good companion to the book too. You’ll get to know me a bit more through the course too. To my good friend Roseline: Thanks for all that you do! I often get asked about mirrors in bedrooms. My best advice is to place the mirror where you can’t see yourself in it while you are sleeping. To sleep well and peacefully, the body rests and often you will go through (whether you are aware of it or not) an out of body experience. This is one of the reasons why you avoid to ‘see’ yourself in the mirror while this is happening. I wish to illustrate this article with a really beautiful picture that I took at one of my client’s place. In her mirror, you can see (as you enter) the reflection of a love heart and two white doves symbolising peaceful relationship and pure love. Now, ask yourself, what is your bedroom mirror reflecting? Your master bedroom is your love sanctuary. It is where you rejuvenate and take care of yourself and your partner. 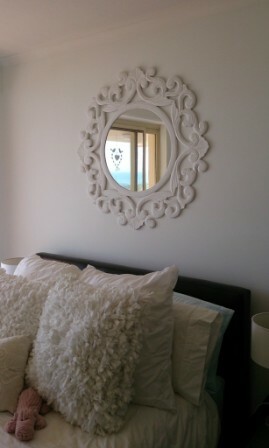 Have a Feng Shui look at your bedroom today and you too, create your harbour of Love and Peace.